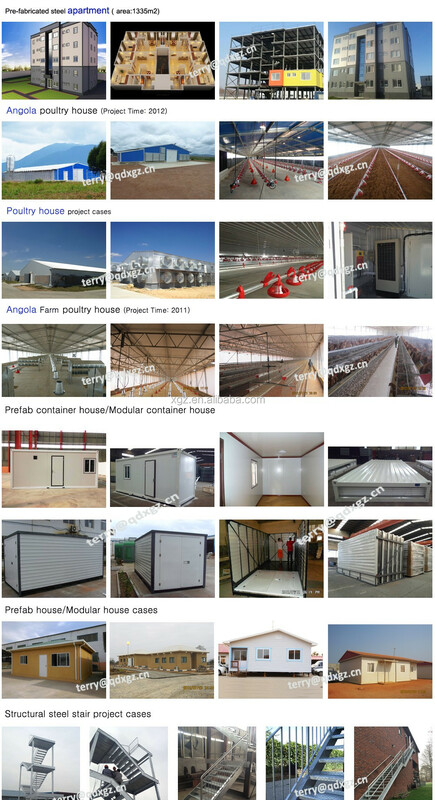 Qingdao Xinguangzheng Steel Structure Company was founded in 1996, is a large company listed on the stock market.We specialized in manufacturing,designing,developing,installing,selling steel structure buildings and undertaking various kinds of steel structural projects, such as steel structure workshop,warehouse,hangar,apartment,steel bridge,poultry house,modular container house,prefab house,overhead craneand the other customized steel products. 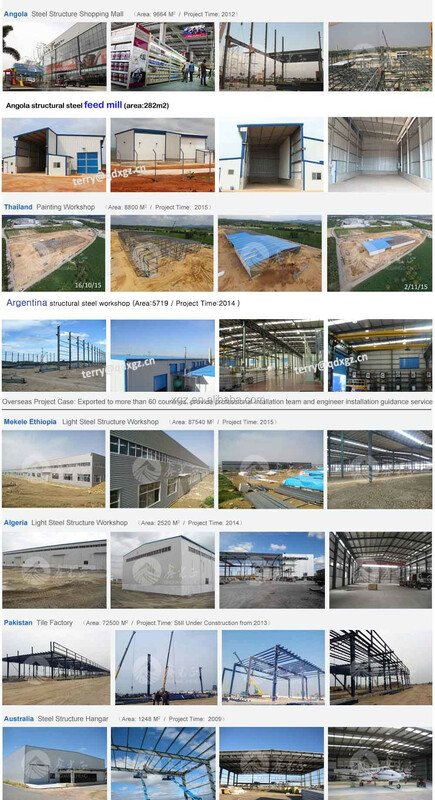 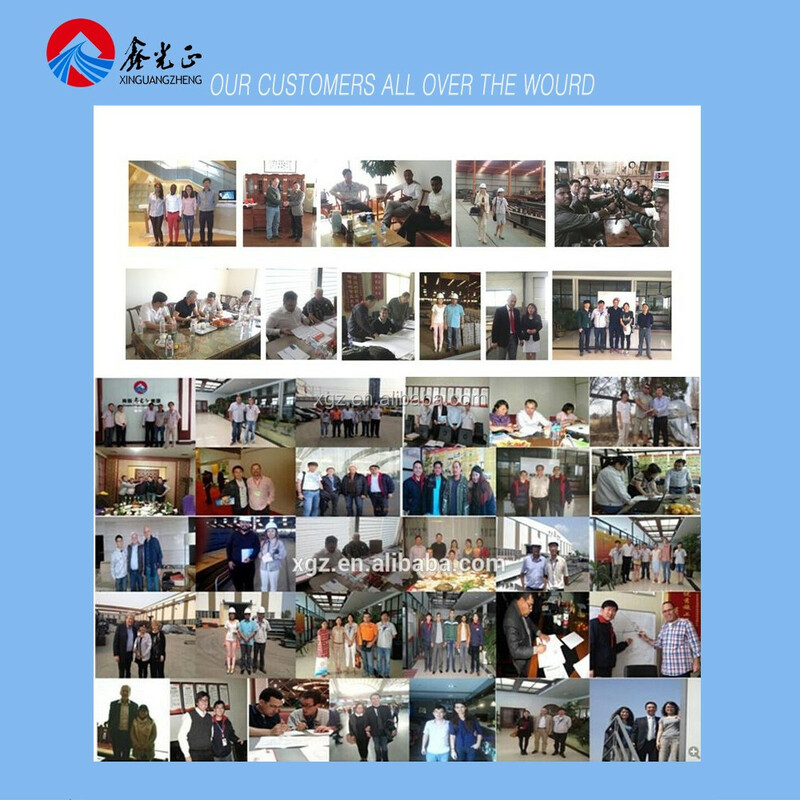 Our company supply the completelysteel structure building materials and dedicated to providing customers with one-stop shopping service. 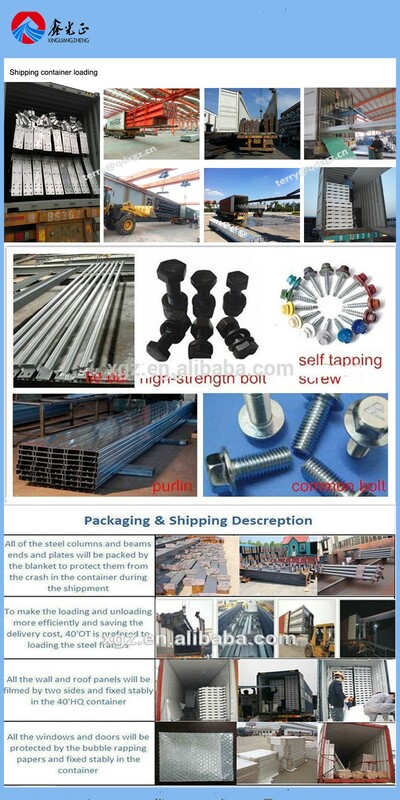 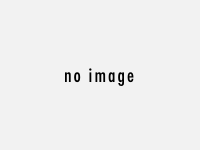 Product Standard: GB, ISO9001: 2000,European,ASTM,BS. 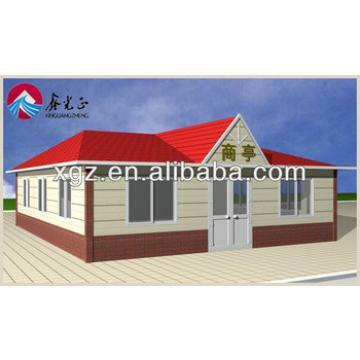 (8) What kinds of the materials for roof and wall ?with heat insulation or not? 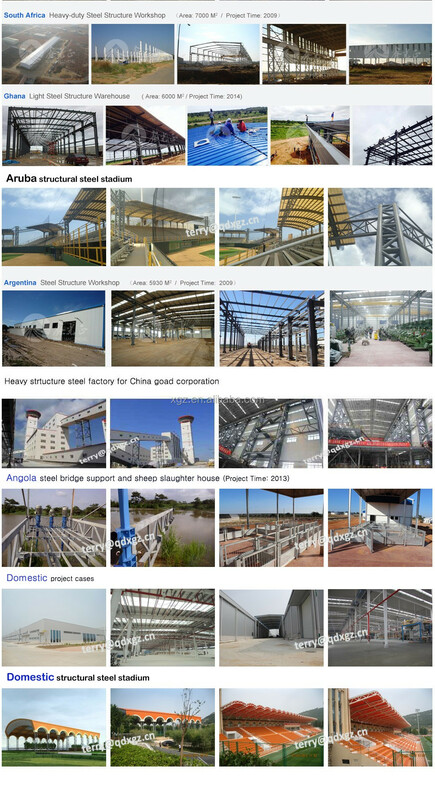 What you see is what we have.If you have a similar projects or others what is made of structural steel,please do not hesitate to contact us immediately.